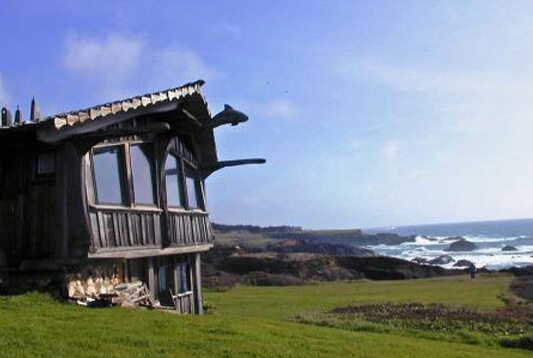 The Dolphin House is a truly unique Mendocino home perched on a bluff-top, just steps from the wild Pacific Ocean. 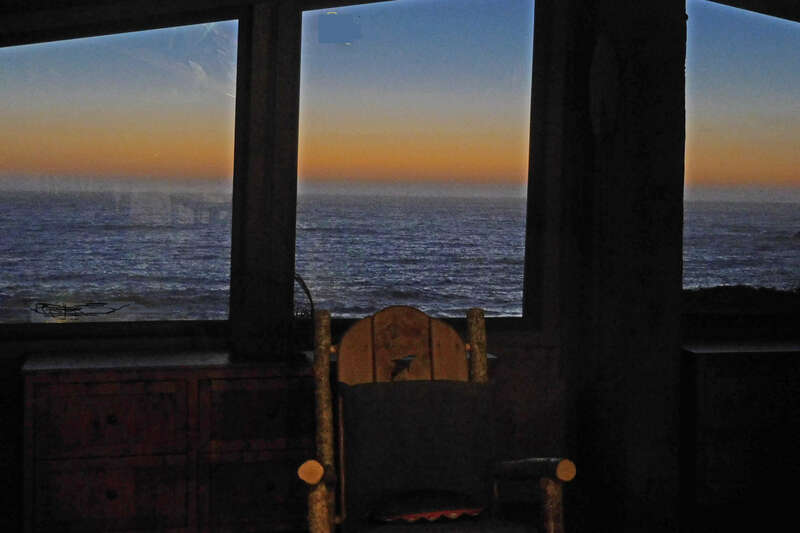 Nearly every room in the house has a spectacular ocean view. The house was built in the 1960s in the popular organic, handcrafted style to resonate with its surroundings. 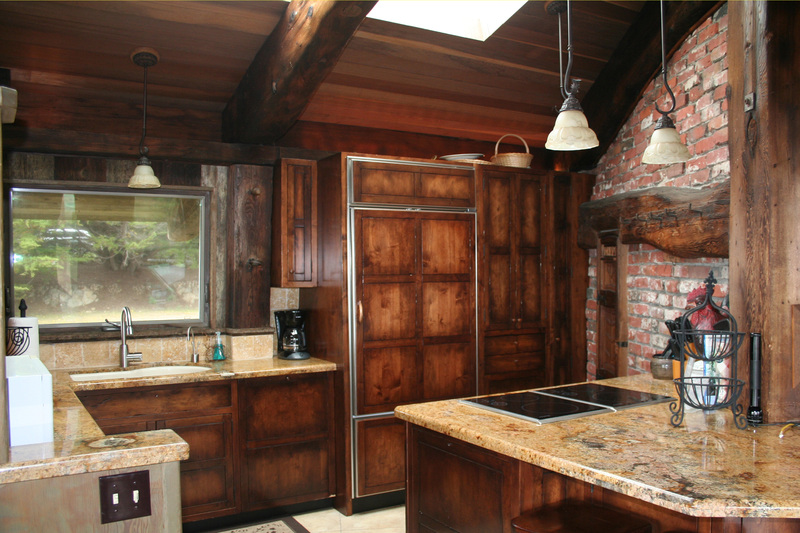 The interior has been updated recently in that style, adding modern conveniences. 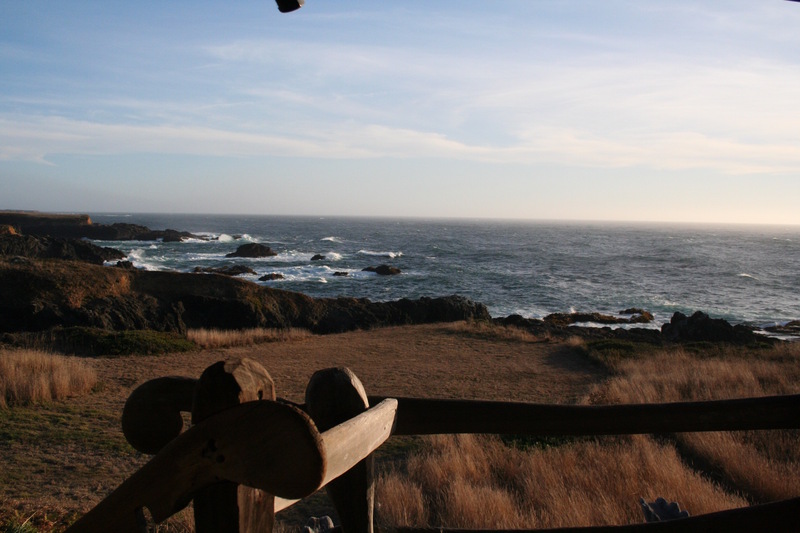 The spacious grounds invite strolls to view the lovely cove to the south, the wild ocean to the west, and the Pt. Cabrillo light station to the north. 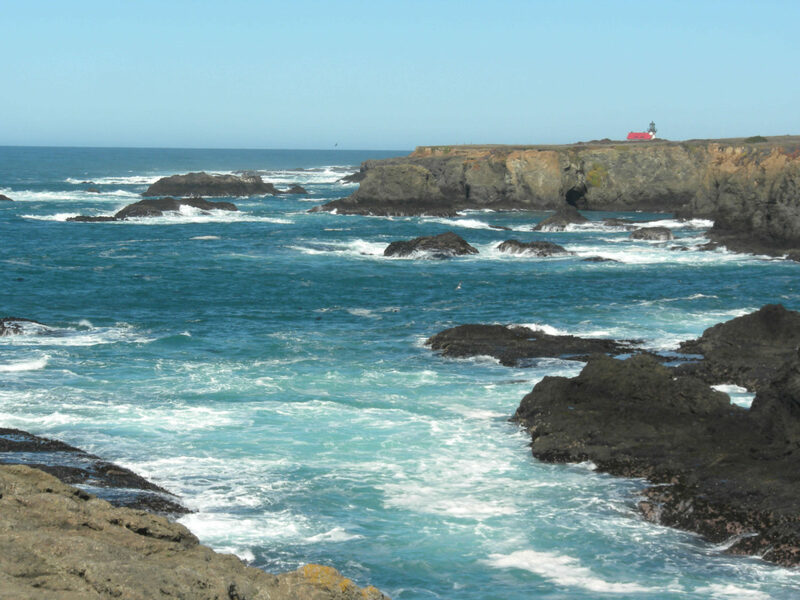 Private, quiet, and well equipped, you won’t want to leave, but if you choose to get out and hike, bike, dine, shop, or look at art, Mendocino village and seven state parks and preserves are just a few minutes away. 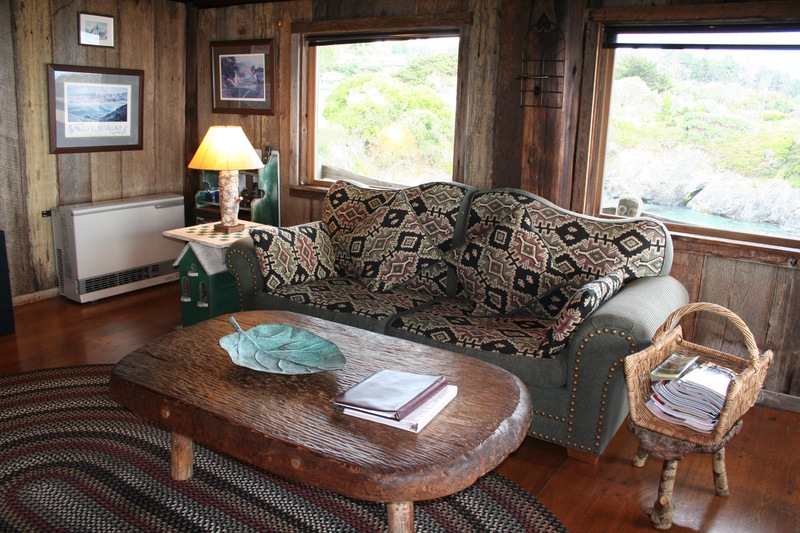 Dolphin House can accommodate up to four adults. Children under 16 years of age are not allowed due to the very close proximity of the Pacific Ocean. Limited availability. 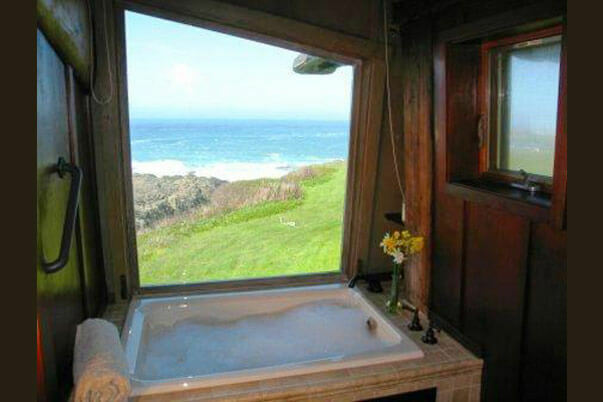 Don’t wait to RESERVE the Dolphin House. Extended stay rates are available. 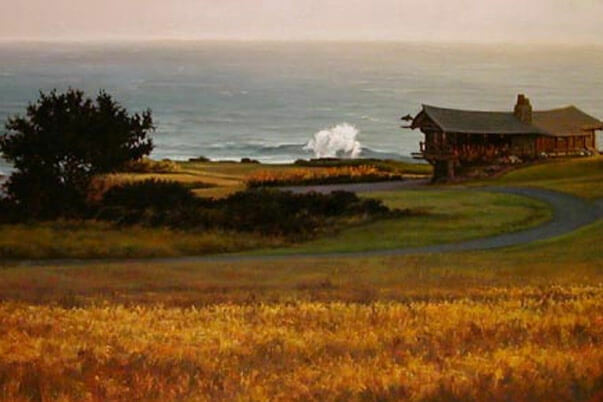 Please call Alegria Inn at 707-937-5150 for details and to book. For example: 7 nights is $2451 all inclusive, a savings of $777. Rates are double occupancy. 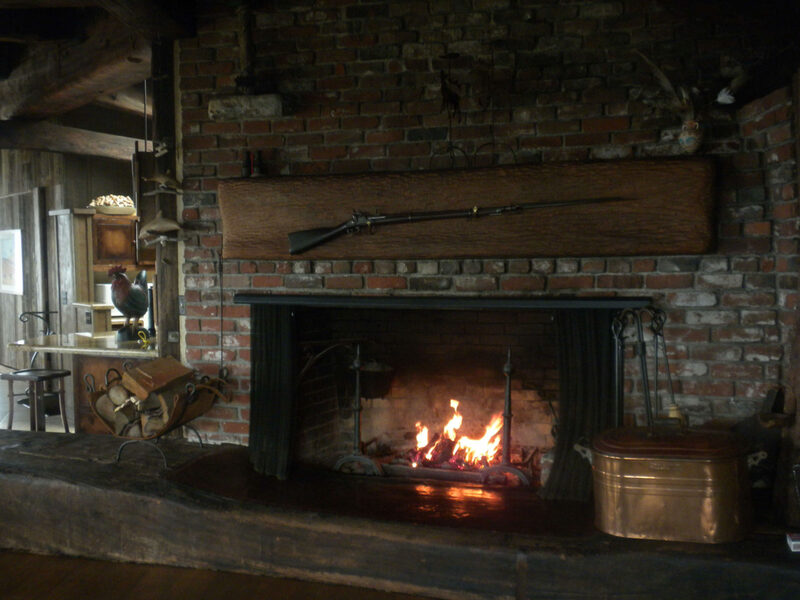 Each additional person (maximum occupancy is four adults) is charged $25 per night above the posted rate. A $400 deposit is charged at the time the reservation is made. 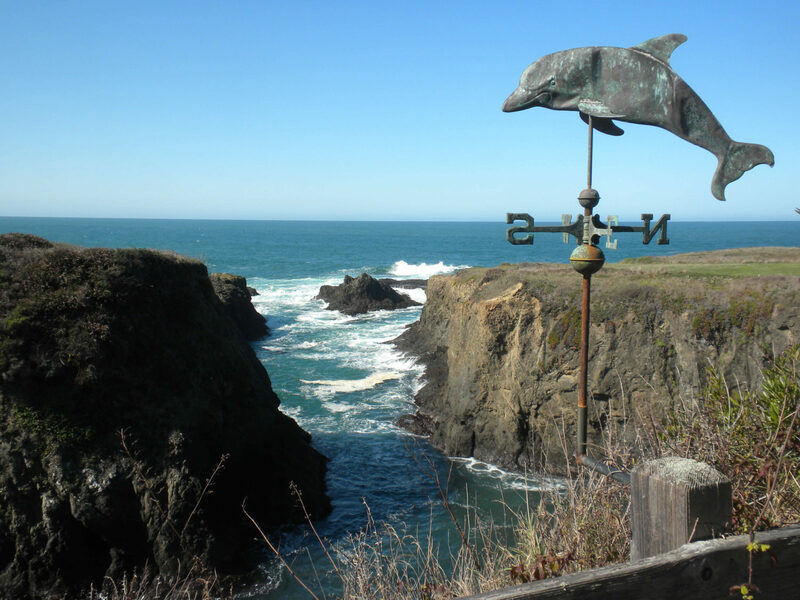 There is a $120 cleaning fee per stay added to the total lodging charges for the Dolphin House. There is also a $150 security deposit that is charged and is refundable upon inspection. View a commercial for Honda which includes the Dolphin House. Disclaimer: The hot tub in the commercial was just a prop!